i believe it's a blockchain that specializes in crypto location, time stamps and such. a solution to current location tracking methods which is prone to errors and corruption. it gets good reviews on some of the ICO sites i visit. token sale i believe is in 3 days. Crazy how it is now possible to short Bitcoin. read several people want to short bitcoin especially Gates. Without ponying up $50M to do it? Can a retail trader short bitcoin? yeah, it's about what I've read. more like FUD from the old timers. Buffet, Munger, Gates, Soros, etc. I have given up all hope. Out on the ledge. Took out a second mortgage did ya? Worse than watching paint dry. I made a cool grand yesterday on Ripple. First 10 to send me $100ea will get a PM on how I did it. This exchanging & transferring & waiting for funds to clear is a PIA. $7400 more drop, and I’m in. Not sure why you like kicking this but there is plenty of money to be made(or lost) just like any other investment. Ive made a very nice overall return since I started dabbling in it last August. Only a smidgen of my overall portfolio but 5 figure profits are kinda fun nonetheless. 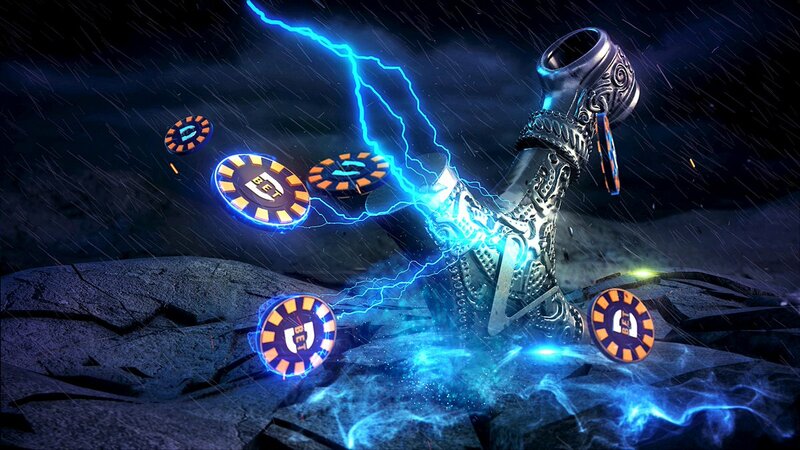 We are excited to announce that @Decent_Bet will be the first of many projects to migrate and release their mainnet on the VeChainThor Blockchain. We look forward to the rapid expansion of VeChain Ecosystem. The more I look at VeChain, the more interested i get. I haven't read the last twenty pages here but any of y'all looking into EOS? My group is saying it's the next big thing but who knows??? Don't we have an EOS fan club here? Y'all been paying attn to the mainnet launch? Who will you be voting for Block Producers? I’m just watching this nose dive. I cashed out back a couple months ago I guess. I felt a big dip coming. I will be buying back in just kinda waiting till I feel the time is right. Heck no. I was due for a crypto break and when BTC was at like $9,700 I sold everything besides some stuff on kucoin and livecoin. I'm still hodling strong, picked up another 30k of poe last week. I try to only check the market twice a week. Still just sitting with my XRP - I havent checked in a while. I don't see how anyone cold sell? Y'all taking the loss and saying screw it? I was kinda thinkin Tron may be done. LOL. If I turned it into 5 LTC and it got back to 380 I could make 2000 of my original investment back. That said the ultimate goal is larger profits years down the road. Glad I got out for the most part during the last little run up. Anyone need the suicide hotline??? Because people think it's a scam. It's ok to be negative. I'm sure lots of people saved a ton of money not buying due to others being negative. There are millions upon millions of coins that will always be sold not matter the price. When people are paid in coins they usually sell at least some as they get it...if not all of it. Negative....playing with play money and it is house money to boot. All good in the hodl world on my end. Im hodl. No worries or effs given. I'm not thinking about it much, if it does well in a few years I'll be sitting well and if it goes to zero I'm not out that much. And cost some people profits because they didnt play the game. These investments are like most penny stocks. Big risk/Big return. Never play these games with money you cant lose. I believe that was a very common comment throughout this very long thread. I’m still hodling but at this point until these **** coins prove some kind of tangible value, like stock, I’m not buying anything else. I still think XRP has promise, and I’m not giving up on TRX, but it’s painfully obvious now they’re only worth the hype people give them. I could have doubled my money in poe today but missed it while I was out on the flats, oh well fish were biting.